An actor, writer, storyteller, and director, Andy Jones was born and raised in St. John’s, Newfoundland. He worked with CODCO, both in theatre and on television, and with Sheila’s Brush Theatre Troupe. He has written, performed, and toured five one-man shows; has performed in theatrical productions across Canada and on numerous television shows; and has appeared in such films as Extraordinary Visitor, The Adventures of Faustus Bidgood, and Rare Birds. 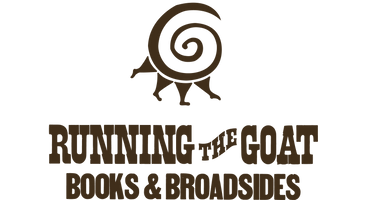 His monologue “Boiled Dinner” is included in Running the Goat’s Three Servings. He is the author/adaptor, with Philip Dinn, of Peg Bearskin, a folktale from Placentia Bay, which was shortlisted for the 2004/05 Hackmatack Award and named to the International Youth Library’s prestigious White Ravens List. 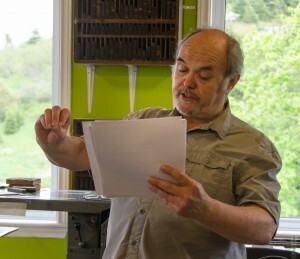 His on-going series of Jack tales, illustrated by Darka Erdelji and designed by Veselina Tomova, has been much lauded: The Queen of Paradise’s Garden was named to the IYL’s White Ravens List, and was shortlisted for the 2010 Bruneau Family Award and the 2010 Newfoundland and Labrador Heritage and History Award; Jack and the Manger, a re-telling of the Christmas story as if it were a Newfoundland folktale, received the 2012 Bruneau Family Award for Children’s/Young Adult Literature and was shortlisted for the 2012 NL Heritage and History Award; Jack and Mary in the Land of Thieves received the 2012 BMO Winterset Award and the 2014 Bruneau Family Award. Jack, the King of Ashes was nominated for the 2015 Ann Connor Brimer Award, the 2015 Governor-General's Literary Award for Illustrated Children's Book and the 2016 Silver Birch Express Award. Jack and the Green Man, the fifth book in this series, appeared in October 2016. It has been shortlisted for the 2017/2018 Hackmatack Award.